The Howard J. Moore Company has an approved quality system to ISO 9001/2008. MORCO fabricates to Federal, Military, Military Covering Laminated Phenolics, Government Phenolics, ASTM, and AMS specifications. MORCO's speed quotation service can get a quote to you within 24 hours. MORCO offers expert design and material problem-solving. 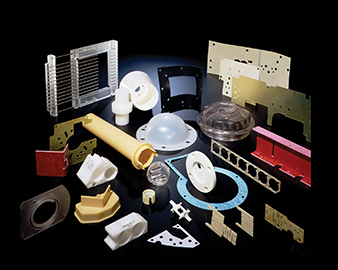 MORCO offers one week die cutting and machining services. MORCO offers raw materials to our customers in rod, tube, roll, or sheet.